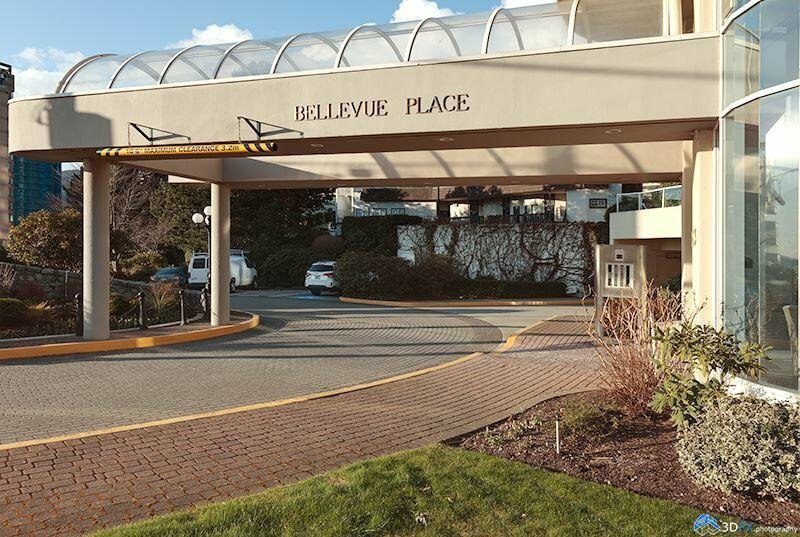 Another wonderful offering in Bellevue Place! 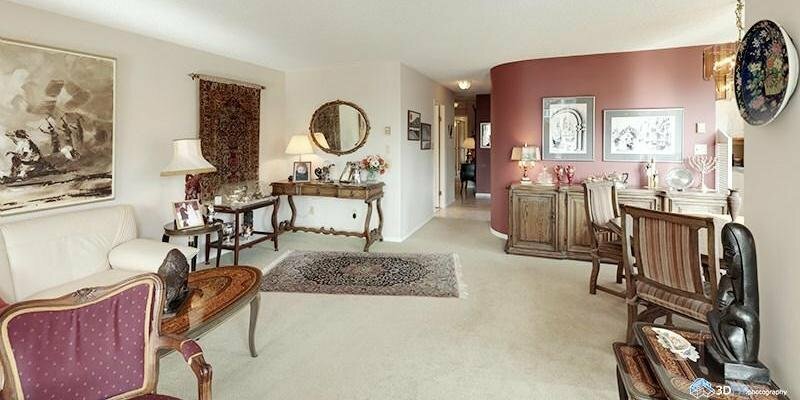 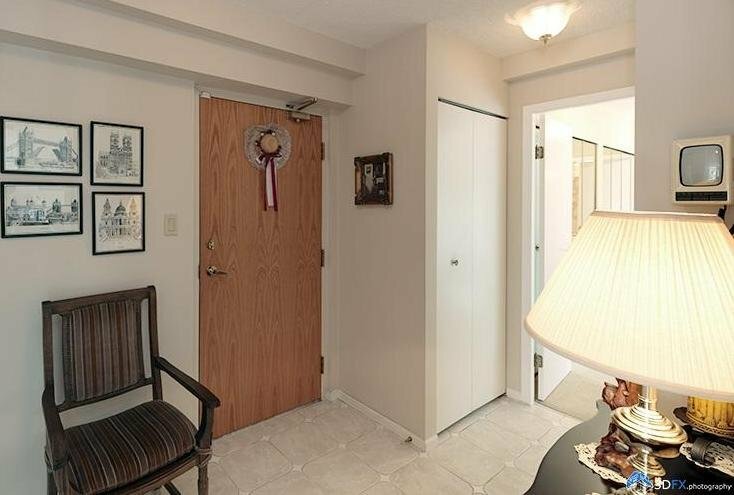 This unit boasts a 1,300+ square foot 01 floor plan that affords you the very best the building has to offer. 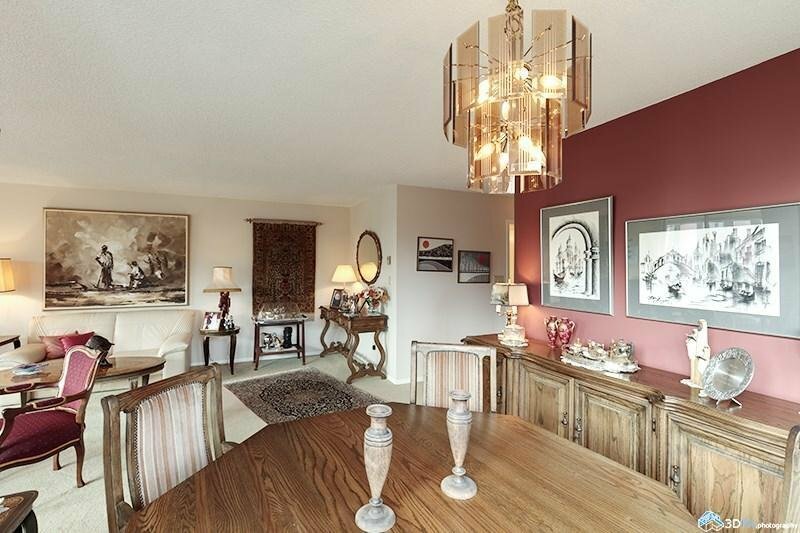 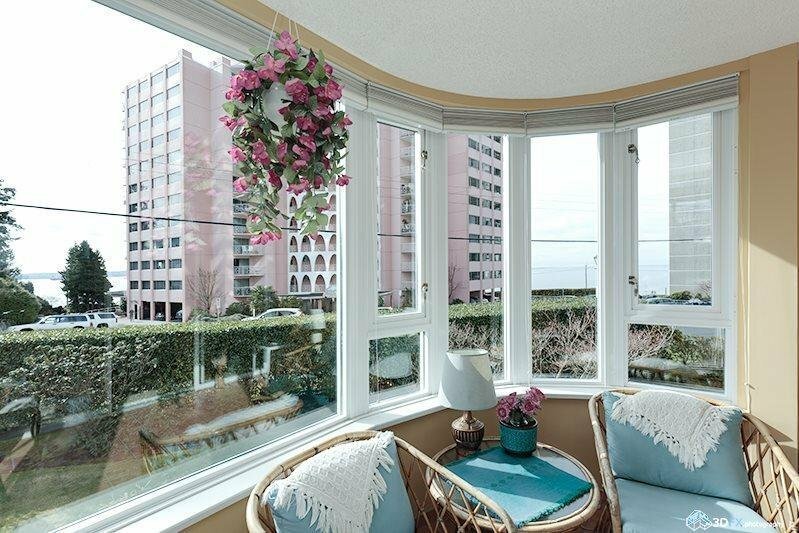 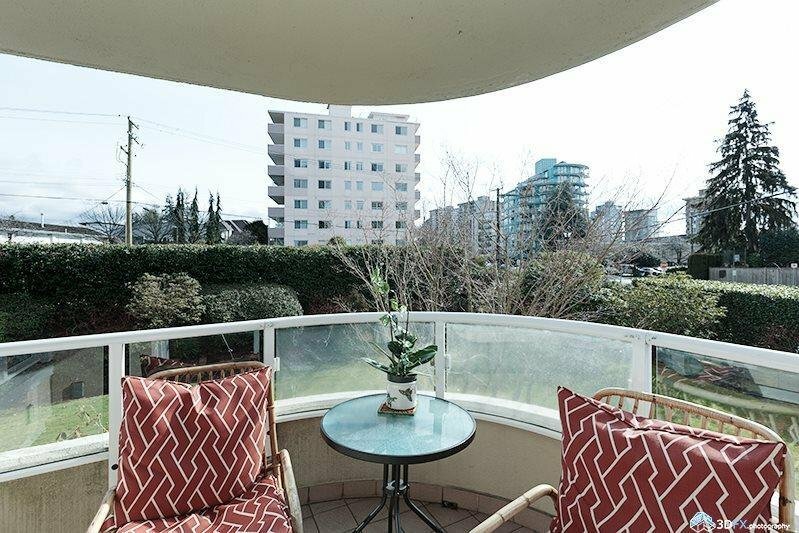 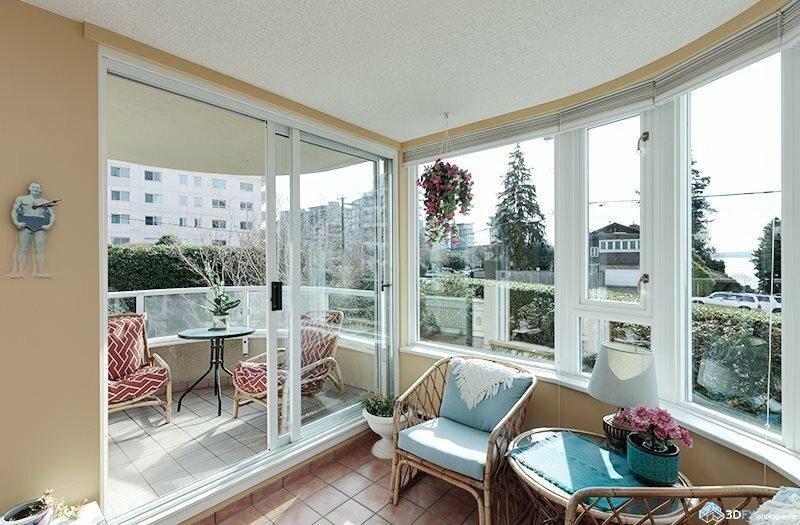 Located on the southeast corner, this unit enjoys a private outlook to the garden space below and water views from living room/solarium and balcony. 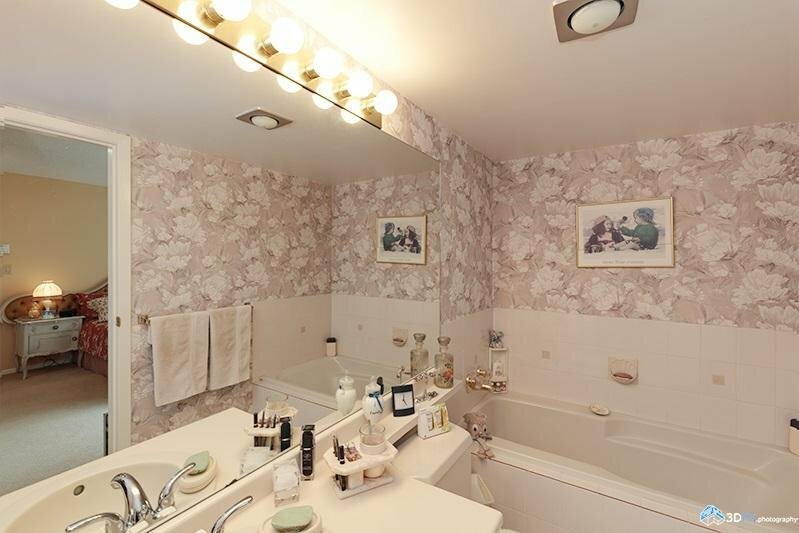 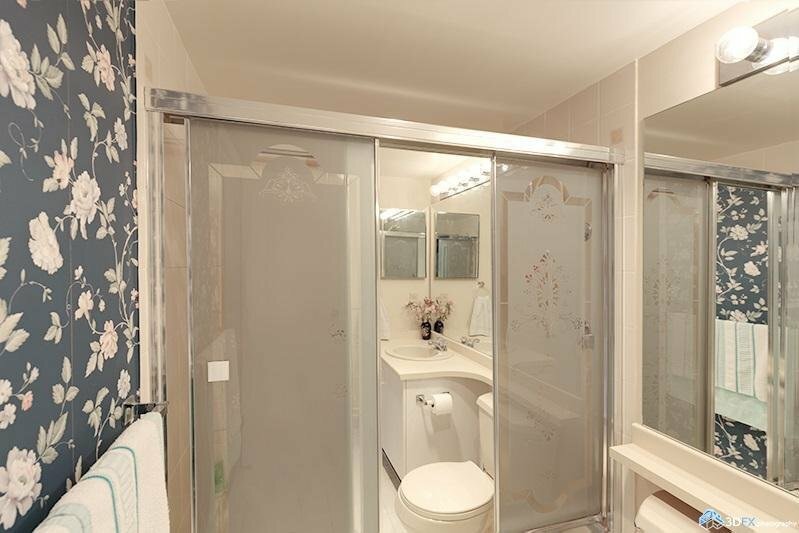 It features a 2 bedroom, 2 full bathroom layout with in suite laundry and new windows throughout. 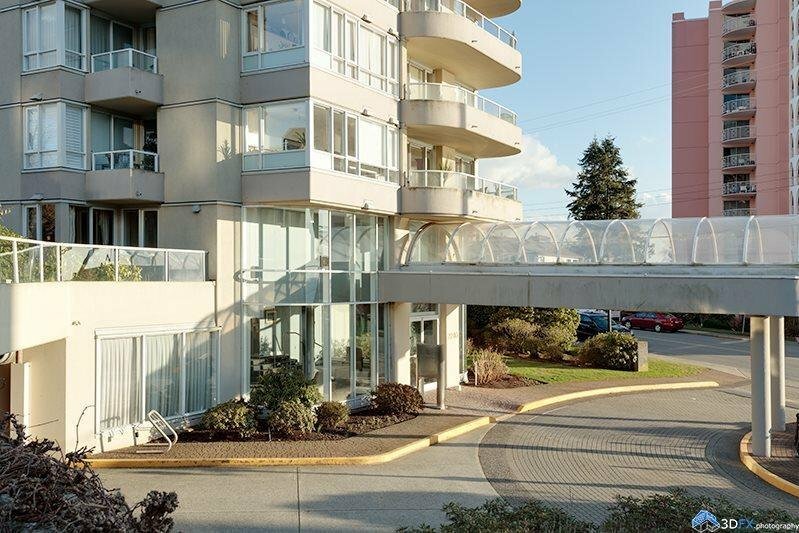 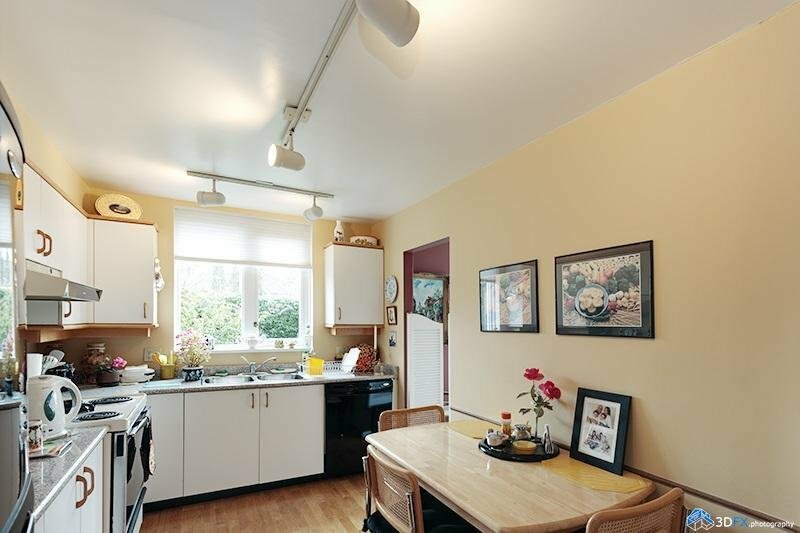 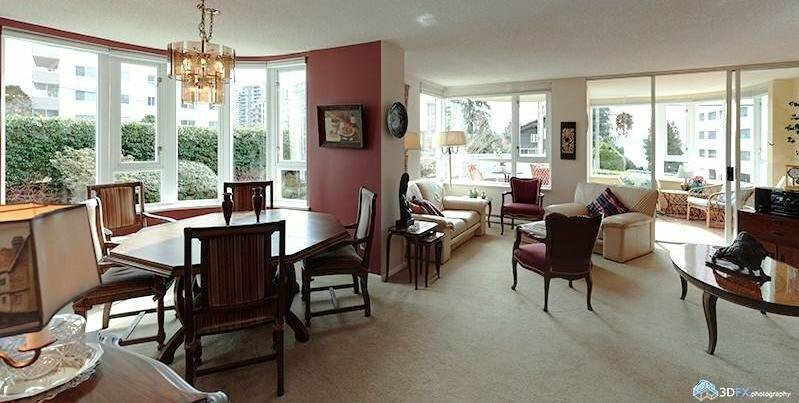 Only minutes away from the Seawall, rec centre, and shopping, it affords you the very best of Dundarave/Ambleside living.